When an auto accident occurs you are faced with many difficult decisions. You have to know how to get the medical treatment you need, properly document your damages, and negotiate fair property damage and personal injury recoveries from the insurance adjusters. 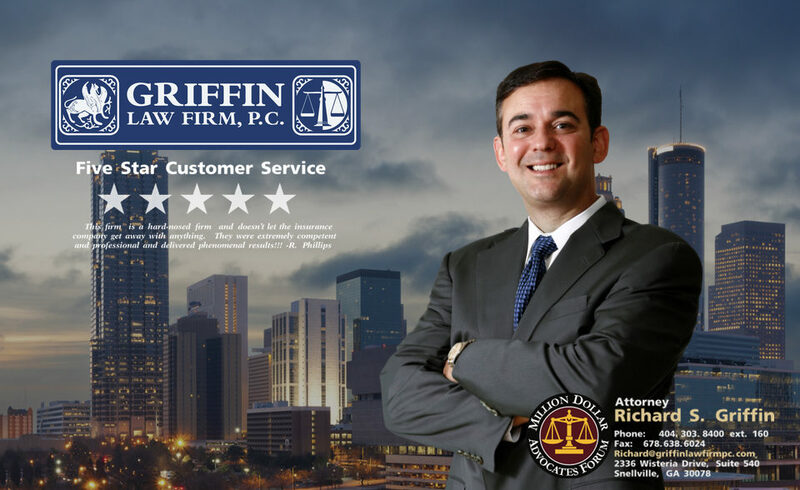 Attorney Richard Griffin and the Griffin Law Firm knows what you are up against and knows how to help you get the personal injury recovery that you need and deserve. We encourage you to call us to fully -discuss your claim at 877-529-7070 or 877-PAIN-LAW. (1) What should you do at the accident scene? (2) What medical treatment should you get? (3) Who will pay for your medical treatment? (4) How do you get paid for your lost wages? (5) Should you give the adjuster a recorded statement? (6) Is the adjuster on your side? (7) What personal injury damages are you entitled to receive? (8) Do you need a personal injury attorney? (9) How do you know which personal injury attorney to hire? (10) Should you negotiate with the adjuster by yourself? (11) Will you recover more if you hire a personal injury lawyer? (12) Do you have to litigate if you hire a personal injury attorney? (13) How much is your auto accident personal injury claim worth? (14) Should you settle or should you litigate? (15) Does jury verdict research help? (1) Attorney Awards: Attorney Richard Griffin has received the highest rating for legal ability and legal ethics of AV Preeminent from the Martindale Hubble. He has also been awarded the Top 100 Trial Lawyers, the Top 40 Under 40 Trial Lawyers, the Rising Star Super Lawyer Award, an AVVO rating of Superb, and the Million Dollar Advocate award. These awards mean that you know that we will provide outstanding personal injury and workers’ compensation representation from the Griffin Law Firm. (2) Client Testimonials: We strongly encourage you to watch the numerous client testimonial videos and read the long list of written client testimonials to verify for yourself that we will provide you with excellent worker’s comp and auto accident representation. (3) Settlements and Verdicts: We also recommend that you review our lengthy list of personal injury and workers’ compensation settlements and verdicts to see the great results we have gotten for our clients since 1994.